Two different sides of the story. Indeed, the long run of ‘Hanggang Saan’ can be divided into two parts. One part featured a series that struggled right out of the gate, and the other part featured a series that became a winner in the viewers’ book. ‘Hanggang Saan’ first aired on November 27, 2017 amid a slump in Kapamilya Gold’s fortunes. When it began its run, rival GMA series ‘Haplos’ was still ruling its timeslot, and it also helped that its success was bolstered by its lead-in shows ‘Ika-6 na Utos’ and ‘Impostora’. The fact that ABS-CBN received some criticism for overemphasizing ‘kabitseryes’ in the afternoon weighed heavily on ‘Hanggang Saan’. At the time, it seemed like the series was on the verge of immediate cancellation with the way it performed from the start. But when ‘Haplos’ was replaced by ‘Hindi Ko Kayang Iwan Ka’, ‘Hanggang Saan”s fortunes soon turned for the better. After scoring an average of only 12% in the ratings to ‘Haplos” 14%, ‘Hanggang Saan’ raised its mark to 14% whereas ‘Hindi Ko Kayang Iwan Ka’ fell to 10%. In a similar manner as ‘Haplos’, ‘Hanggang Saan’ benefited from the success of ‘Asintado’, which replaced ‘Ika-6 na Utos’ as the Philippines’ top-rating afternoon series by late March. That, of course, helped save the series from the guillotine and assured that ‘Hanggang Saan’ would end on its own terms. Overall, ‘Hanggang Saan’ will have a total of 108 episodes once it reaches its finale this Friday. While it didn’t come close to reaching the heights of Sylvia Sanchez’s previous series ‘The Greatest Love’, ‘Hanggang Saan’ still enjoyed a respectable performance on its own right. That said, ‘Hanggang Saan”s successful run only added to Sylvia’s growing legend as a top-billing actress in her 50s. It may be a case of late blooming, but it was still good to see a career supporting actress turn into a bankable star at this point in her career. The series also provided a boost to the careers of emerging stars Arjo Atayde (Sylvia’s real-life son) and Sue Ramirez. Both should be primed for greater roles in future projects. On Friday afternoon, ‘Hanggang Saan’ will air its last episode. Notwithstanding the slow start, the most important thing here is the finish, and that is how this series will be remembered for it. One of ABS-CBN’s underachievers for 2017 will mercifully end their run this week. This Friday, the 188-episode run* of ‘Pusong Ligaw’ will come to a conclusion. While the series has had a long run typical of more recent ABS-CBN drama series, it had a rather up-and-down performance in the ratings. ‘Pusong Ligaw’ premiered on April 24, 2017 as the replacement to ‘The Greatest Love’. But instead of airing the series on the latter’s vacated timeslot, ABS-CBN made the decision to air ‘Pusong Ligaw’ as the leadoff drama on Kapamilya Gold, demoting ‘The Better Half’ to the second slot. Initially, ‘Pusong Ligaw’ performed particularly well, averaging around 17-18% in the ratings during its first few weeks. However, the series’ ratings declined to around 15% by June, and after that it fluctuated between 12 and 15% for the remainder of its run. One glaring reason for the decline of ‘Pusong Ligaw’ is the emergence of ‘Impostora’, the GMA Afternoon Prime series that premiered last July 3. By August, the latter overtook the former as the second highest-rated afternoon drama in the country, and while ‘Pusong Ligaw’ has had occasional moments of brilliance, ‘Impostora’ essentially dominated the matchup the rest of the way. It also didn’t help that viewers grew tired of the ‘kabitserye’ formula that ABS-CBN emphasized of late. Let’s face it, the formula is becoming too stale and predictable, and having witnessed a few other successful ABS-CBN dramas that utilized a similar plotline, it was clear that ‘Pusong Ligaw’ simply lacked the punch and ‘it’ factor of previous series. Nevertheless, despite all these deficiencies and concerns regarding quality, 188 episodes was still quite an achievement for ‘Pusong Ligaw’. For an unproven cast that starred Beauty Gonzalez, Bianca King, Raymond Bagatsing, Joem Bascon, Diego Loyzaga and Sofia Andres, making it through a long series is definitely an experience for a lifetime. The last five episodes of ‘Pusong Ligaw’ should be one to remember. Amid these disappointments and criticisms, ABS-CBN should remain proud of how this series turned out. *One episode of ‘Pusong Ligaw’ was reaired due to technical problems, while another episode was preempted due to the State of the Nation Address. Here is Part I of the four-part series. These stories are arranged in no particular order. The tandem of Kathryn Bernardo and Daniel Padilla returned to ABS-CBN Primetime Bida in June to star in ‘La Luna Sangre’, which also starred Angel Locsin (initially in a special participatory role as Lia before returning full-time as Jacintha) and another comebacking star in Richard Gutierrez. The series became an immediate hit scoring well over 30% in the nationwide ratings. The success of ‘La Luna Sangre’ also revitalized the third slot of Primetime Bida following the lukewarm reception of predecessors ‘Magpahanggang Wakas’, ‘A Love to Last’ and ‘My Dear Heart’. But while KathNiel did not lose their magic upon returning to the small screen, the same cannot be said for another popular love team. 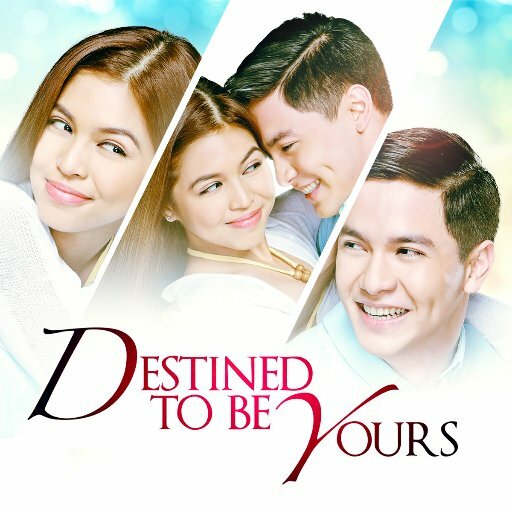 Good news: AlDub did not need to face KathNiel as ‘Destined to Be Yours’ ended weeks before ‘La Luna Sangre’ premiered. Bad news: 63 episodes is more than enough to justify the lack of success of ‘Destined to Be Yours’, the first primetime series to star Alden Richards and Maine Mendoza together. Things only got worse for the duo from that point on. In late November, Maine revealed on social media that she and Alden are only friends in real life and that she ‘deserves all the hate in the world’ for being a ‘coward’ and a ‘selfish little brat’. Perhaps the pressure and the expectations are starting to take its toll on Maine. Much like her harrowing portrayal of a depressed workaholic in the ‘Eat Bulaga’ made-for-TV film ‘Love Is…’, somebody should help her overcome these stresses. ‘Ika-6 na Utos’ premiered late last year to lukewarm reviews. But thanks to some campy moments that elicit plenty of laughter from its viewers, ‘Ika-6 na Utos’ became unexpectedly popular, so much so that GMA decided to add Saturday episodes starting in April to capitalize on its success. The series also boosted the fortunes of Afternoon Prime which had been left for dead earlier in the year. By August, succeeding dramas ‘Impostora’ and ‘Haplos’ were winning over their ABS-CBN counterparts thanks in large part to ‘Ika-6 na Utos’. Led by back-to-back ‘kabitseryes’ in ‘Pusong Ligaw’ and ‘The Better Half’, Kapamilya Gold lost ground to Afternoon Prime that by the late third quarter of 2017, it was the latter that stood tall. Not even ‘The Greatest Love”s critically-acclaimed run saved the block from its sudden fall from grace. The end of ‘Doble Kara”s year-long run in February foreshadowed a decline in Kapamilya Gold’s performance. Soon after, Afternoon Prime closed the gap and overtook Kapamilya Gold in the ratings for the rest of the year, much to the dismay of Kapamilya viewers everywhere. Also in February, ‘Wildflower’ premiered on Primetime Bida’s pre-newscast slot. It didn’t take long for the series to make an impact as it constantly registered ratings of over 20 to 25%, putting it among the top five programs in the country. The success of ‘Wildflower’ also spawned numerous memes on social media, some of which depict the various confrontations between Ivy/Lily (Maja Salvador) and Emilia (Aiko Melendez). With that kind of impact, ‘Wildflower’ truly turned viewers’ heads upside down whenever these two go at it. The slogan ‘In the Service of the Filipino’ does not apply to ABS-CBN game shows. That said, ‘Minute to Win It’, ‘Family Feud’ and ‘Bet on Your Baby’ continued to alienate audiences by utilizing celebrities more often than ordinary people throughout their runs this year. Luckily all three shows’ seasons came to an end this year: ‘Minute to Win It’ in February, ‘Family Feud’ in May and ‘Bet on Your Baby’ in September. Perhaps ABS-CBN should stop producing game shows and defer these to ‘It’s Showtime’ since they do not even have a clue how to utilize the power of the viewing public. Part II of this four-part series is coming up tomorrow. Stay tuned. ‘Haplos’ is on a roll. The GMA afternoon drama series has been picking up steam these past few months. Along the way, it claimed a pair of victims in ‘The Better Half’ and ‘The Promise of Forever’, both from ABS-CBN. This series starring Sanya Lopez, Rocco Nacino, Thea Tolentino and Pancho Magno offer a different wrinkle than the Kapamilya network’s repetitive fare of ‘kabitseryes’. Some elements of fantasy and mystery are involved in ‘Haplos’, with Angela (Sanya) and Lucille (Thea) starring as half-sisters with contrasting mystical elements. That unique storyline enabled ‘Haplos’ to earn constant victories in the ratings, in the process causing plenty of concern within the ABS-CBN camp. However, a new challenger awaits ‘Haplos’, and this time a familiar veteran actress comes into the fold. Remember when Sylvia Sanchez ruled afternoons with her emotional portrayal of Gloria in ‘The Greatest Love’? That was seven months ago, and since then, Kapamilya Gold went on a steady decline while Afternoon Prime, thanks in large part to ‘Ika-6 na Utos’, soared to the occasion. Starting this Monday, ABS-CBN will try to change that anew as they premiere their latest afternoon series ‘Hanggang Saan’. Sylvia will once again portray a mother in this series, except that her character Sonya is an unexpected criminal who was accused of killing an innocent man at the risk of prolonging her son’s life. Joining Sylvia in ‘Hanggang Saan’ will be her real-life son Arjo Atayde, who will play the role of Sonya’s son Paco. Teresa Loyzaga and Sue Ramirez will play Jean and Anna, the closest friends of Sonya and Paco. Also part of the cast are Ariel Rivera, Yves Flores, Maris Racal, Marlo Mortel, Nikko Natividad, Rommel Padilla, Nanding Josef, Anna Luna, Mercedes Cabral, Rubi Rubi, Viveika Ravanes, Sharmaine Suarez, Ces Quesada, Arnold Reyes, Maila Gumila, and Junjun Quintana. The series will be directed by Mervyn Brondial and Jeffrey Jeturian. ‘Hanggang Saan’ airs weekdays after ‘Pusong Ligaw’. It will replace ‘The Promise of Forever’. Even with all the victories tucked in their pocket, the stars of ‘Haplos’ should not rest on their laurels. As ‘Hanggang Saan’ is about to make its debut, how long can ‘Haplos’ maintain its momentum? It is indeed ‘Ang Huling Resbak’, as GMA called it. This week will mark the final five episodes of the GMA Public Affairs-produced comedy-drama series ‘D’Originals’. The series features a story of three married women and their doting husbands, whose quiet lives were thrown into chaos thanks to three young ladies. Led by Jaclyn Jose, Katrina Halili, Jestoni Alarcon, LJ Reyes, Mark Herras, Lovely Abella, Kim Domingo, Archie Alemania and Meg Imperial, ‘D’Originals’ became a different form of what is derisively called a ‘kabitserye’. The shift to a more humorous tone while maintaining an intensely dramatic approach made the series stand out. The premiere of ‘D’Originals’ took place on April 17, 2017. The series initially faced ‘The Greatest Love’ during the latter’s final week, but its strong performance in the ratings was too much for ‘D’Originals’ to handle. Following the conclusion of ‘The Greatest Love’, ABS-CBN made an unexpected timeslot change. Rather than facing a new drama in ‘Pusong Ligaw’, ‘D’Originals’ had to contend with another ‘kabitserye’ in ‘The Better Half’, a series that had been raking in impressive ratings within two months of its tenure. Although ‘D’Originals’ managed to improve their ratings performance as the weeks progressed, it was not enough to overcome ‘The Better Half’. In the end, GMA decided to cancel ‘D’Originals’ following its 60th episode this Friday. The short and uninspiring run of ‘D’Originals’ marked the latest in a series of missteps for the GMA Public Affairs team. It is obvious that the department’s foray into entertainment shows is destroying its reputation, but considering the many question marks surrounding GMA’s entertainment division, they had no choice but to step in. Nevertheless, the story of ‘D’Originals’ is not bad as many perceived. It is just too unfortunate to be up against a pair of dramas that are more compelling. Come this Friday, it is indeed ‘Ang Huling Resbak’ for ‘D’Originals’. But it remains to be seen if they will leave a final impression on the viewers. The finale of this tension-filled GMA Afternoon Prime drama will air tomorrow afternoon, 83 episodes after the story of blind lawyer Grace (Janine Gutierrez) began. But while its episode total is more than enough by typical teleserye standards, ‘Legally Blind’ proved to be anything but a success. When ‘Legally Blind’ first premiered, it had to face stiff competition against ABS-CBN’s ‘The Better Half’, an equally dramatic series starring Shaina Magdayao, Carlo Aquino, JC de Vera and Denise Laurel. While the former earned some victories against the latter, on average, ‘The Better Half’ scored 15%, 2-3% better than ‘Legally Blind’. 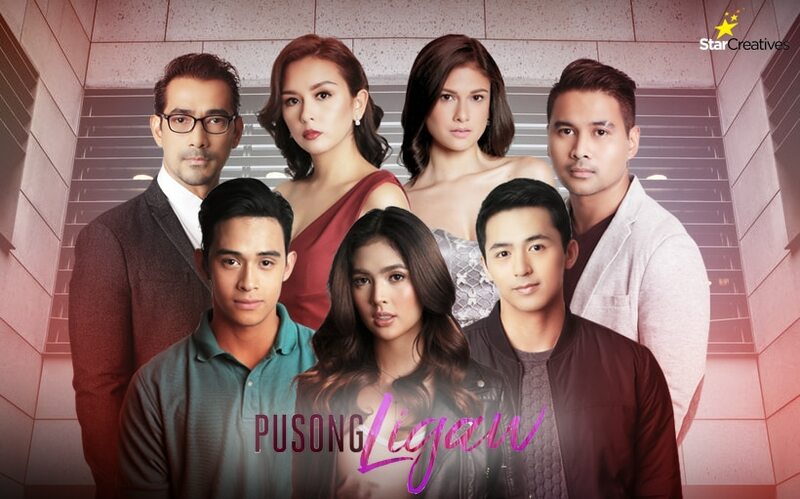 On April 24, 2017, ABS-CBN premiered another kabitserye in ‘Pusong Ligaw’, which stars Beauty Gonzalez, Bianca King, Joem Bascon and Raymond Bagatsing. But instead of replacing ‘The Greatest Love’ in its vacated timeslot, the network decided to place ‘Pusong Ligaw’ opposite ‘Legally Blind’. As it turned out, ‘Pusong Ligaw’ became even more dominant than ‘The Better Half’ was in its original timeslot. A new opponent spelled doom for ‘Legally Blind’, as ‘Pusong Ligaw”s 18% average ratings were 4-5% better than the former. It also didn’t help that viewers who watch the surprisingly successful lead-in drama ‘Ika-6 na Utos’ failed to turn out in droves to support ‘Legally Blind’ on a majority of occasions. Such is the cruel fate for GMA’s teleseryes. Still, for Janine Gutierrez, ‘Legally Blind’ turned out to be a much better outing for her than the short-lived series ‘Once Again’. Notwithstanding its shortcomings in the ratings, its 83-episode run was nothing to be ashamed of. The finale of ‘Legally Blind’ should be a very gripping one. Now that Grace (Janine) has regained her sight, will justice finally prevail, or will she end up behind bars? Viewers can only hope that this impending finale will make a lasting impression. This is ‘Legally Blind”s last chance to stand out, and they look to go out with a bang. UPDATE: For some unknown reason, GMA extended ‘Legally Blind’ for another two weeks. Thus its finale will now be aired on Friday, June 30.